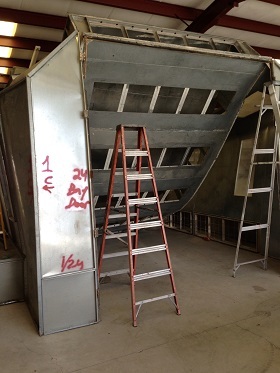 What makes for a better paint booth: Nut & bolt assembly spray booths or Tek screw paint booths? 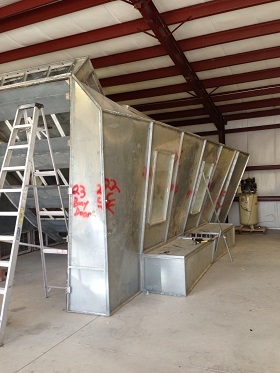 There are only a few manufactures left that use the Tek screw assembly model for spray booths, which is a clear indication that Tek screw assembly is an outdated method. This style paint booth reduces labor costs for the manufacture since pre-punching the sheet metal panels for nut and bolts is not required. While some may pass the savings on to the customer, other manufacturers do not. Your structure was cheaper to make for whatever company you purchased it from, and that should lead you to question the quality and assembly of the metal. While a standard nut & bolt together booth is pre-punched 6 inches on center, many Tek-together spray booth manufactures say to put a screw every 12 to 18 inches –not sure how this makes any sense other than to send customer fewer screws to cut costs. Bolts used in booth installations are typically 5/16” and the average Tek screw used are only ¼”! This design does not make for a structurally sound, durable booth. The assembly requires a lot of guess work since you don’t know how many screws you will need per panel. 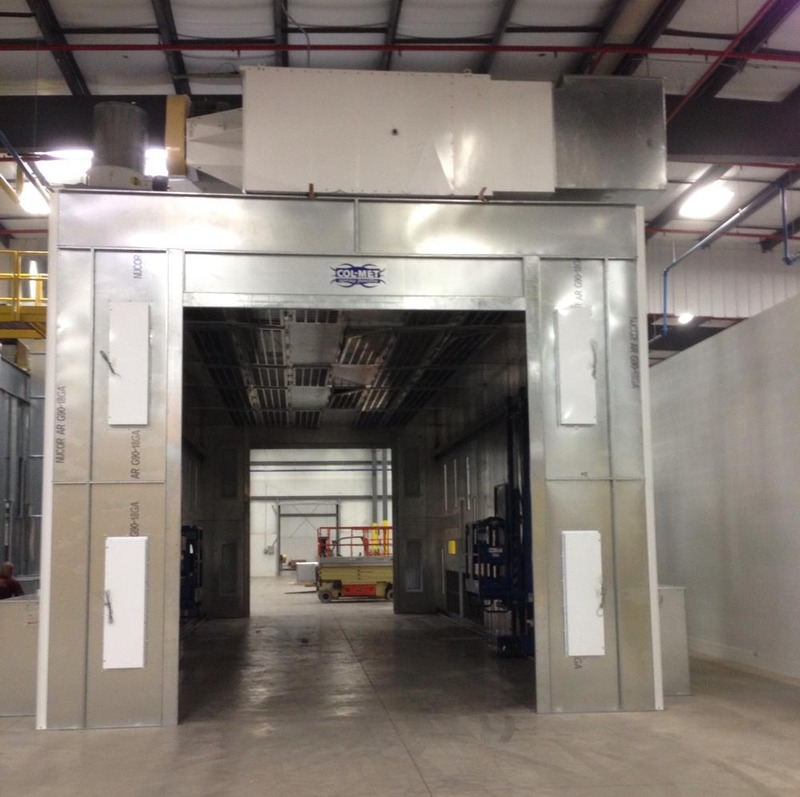 Simplify your installation process by taking advantage of nut & bolt together paint booths. Every manufacture has a different answer when it comes to how many Tek screws to use per panel. There is also a safety issue with Tek screws, since they need to spin in order to cut into the panel to make a hole. The metal shavings could injure the installers eyes. 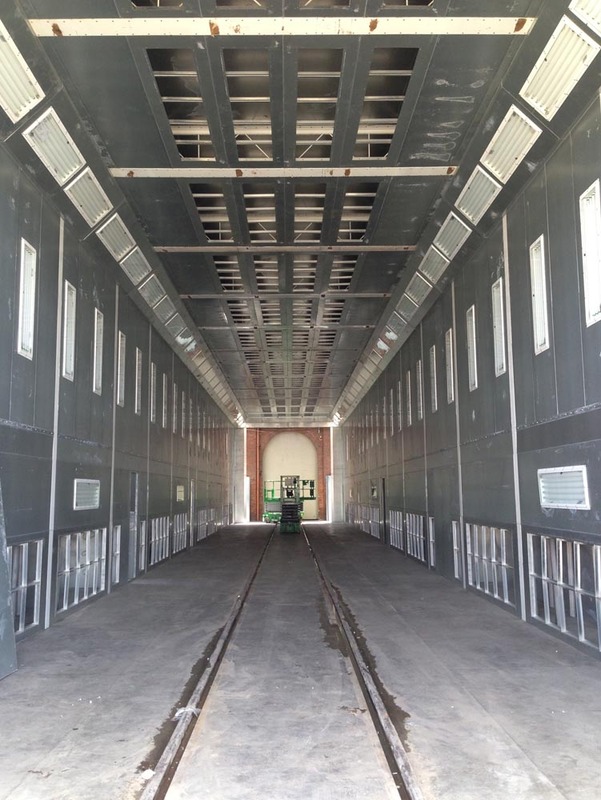 You may spend more initially, but your nut & bolt together spray booth will perform well with little to no maintenance interruptions once it is newly installed compared to a Tek Screw spray booth. Save your money, energy and time in the long run. 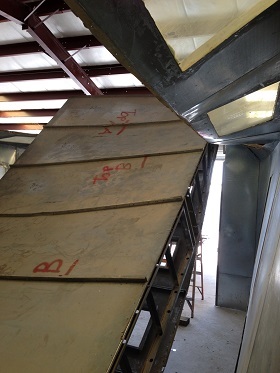 Below are pictures sent in from a shop owner seeking our help to repair a paint booth. This Tek together structure was moved and reinstalled with the same Tek screws twice. Reusing the same screws was his fatal mistake. As you can see this installation method was a bad idea. Luckily no one was injured. The attempt was a total loss, since the installer used the same Tek screws that he removed to reassemble the booth. Not to mention the holes were worn out, so the screws simply pulled out of the holes once they bore weight.